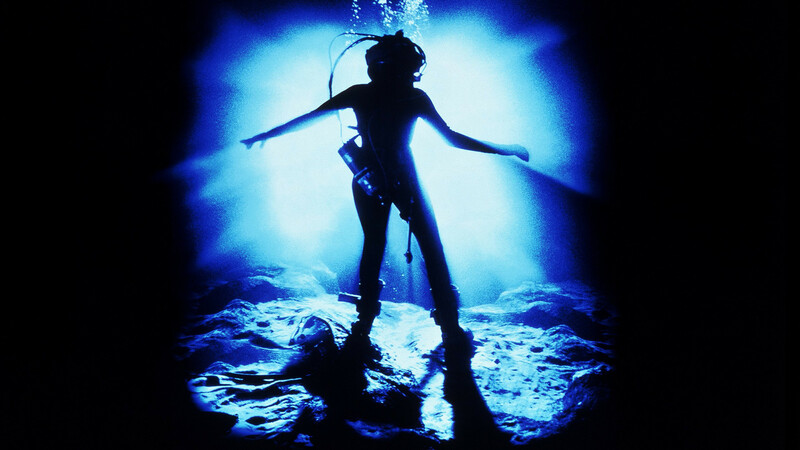 Director James Cameron’s first foray into the world of shooting in water, and anyone would have forgiven him for not wanting to return to water again after the disaster that Steven Spielberg endured with Jaws 13 years previous. But in spite of the difficulty of shooting, Cameron did not learn his lesson and would of course return to huge water tanks and near deaths in 1997 with Titanic. 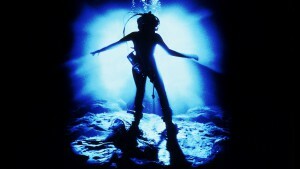 But with The Abyss, the extent of shooting underwater was so important and lengthy, that all cast members were required to become certified scuba divers prior to shooting beginning. To film the majority of shots underwater, a huge 40ft disused concrete structure was used in North Carolina. Having been an unused nuclear power plant, Cameron turned the giant concrete containment into a huge water tank, filling it with seven million gallons of water, becoming the world’s largest underwater set ever created. But the shoot didn’t get off to the greatest of starts, on the first day of principal photography, the tank sprung a leak that caused over 150,000 gallons of water to spray out a minute. Specialist repairmen were bought in to fix the problem, but that was just the beginning of the arduous six month shoot. 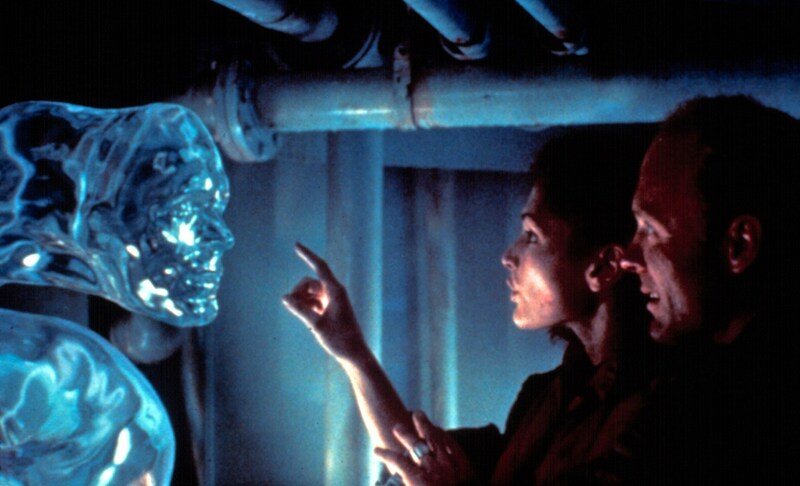 The two leads, Ed Harris and Mary Elizabeth Mastrantonio, endured such torrid times that Harris refuses to talk about his experience on the set, a silence that still stands today. Ed Harris, who played the scientist Bud, almost drowned on multiple occasions throughout production. During one scene, where Harris had to hold his breath at the bottom of the tank, he signalled to his safety diver that he needed air. But the diver got caught up on a cable and couldn’t get to him, instead a crew member quickly swam over and handed him a regulator, but it was upside down so Harris ended up just taking in water. A cameraman came over just in time to give him one the correct way round and effectively saved him. Harris broke down in tears later that evening, not to be the last time. The shoot was so long and tedious, and the fact most shots were underwater, cast and crew members regularly spent upwards of five hours underwater at a time. Due to the threat of microbes growing in the tank, the water had to be heavily chlorinated, causing many of the actors hair to turn green or even white. The sheer torturous nature of the shoots sent many into breakdowns and frustrating bursts of anger, mostly directed at Cameron, but luckily for him, everyone took it out on their dressing rooms by trashing the place. But even though the film is still regarded as one of the most gruesome and gruelling shoots of all time, at least the film itself went on to become a smash hit, and still holds up as one of Cameron’s finest films. The epic historical picture, most famous for the two leads of Richard Burton and Elizabeth Taylor in becoming one of the most iconic film couple’s of all time. But there was much more drama behind the making of the four hour biopic, which still stands today as one of the most expensive films of all time, costing $44 million, which adjusted to inflation equals to around $297 million in today’s money. Even though it went on to become one of the highest grossing films of the 1960s, Cleopatra is well known to be one of the biggest flops in movie history, as the incredible budget took over five years to just break even. As with all doomed productions, casting became the first hurdle to overcome, as several first choice actresses for the title role fell through. When Elizabeth Taylor was approached for the role, she jokingly agreed that she would for a million dollars. Taylor then went on to become the first film star to be paid $1million for a single picture. Already running severely into the film’s budget, problems only continued once filming began. Egypt, the primary shooting location, wouldn’t initially let Elizabeth Taylor into the country on the grounds that she was Jewish, but soon changed their minds when they realised how much American dollars would be pumped into the economy just due to the film’s presence. Only several weeks into the duration of the shoot, director Rouben Mamoulian resigned due to the producer’s change of direction of the film, resulting in over seven hours of footage to be completely unusable. Throughout the course of the film, various actors came and left, Taylor became seriously ill, pushing the filming back even further. Elaborate sets were built in London, costing the studio a large sum of money only not to be used at all, as filming switched to Rome instead. Even after filming had wrapped, the studio were looking at the first cut of the film to be over six hours long, which had to be cut down to just three. The seemingly directionless picture just kept running into trouble, ballooning the initial budget higher than anticipated, at a cost that almost ruined Twentieth Century Fox. It was so bad, that it took many years for Fox to simply recoup the film’s budget. Best and good shared comment for about gread films. So exactly ed harris my best, he is every chracter played and not differend for him. Thanks for share this comment.